I am a faculty member of the Mathematics and Computer Science Department at Biola University. I was born in Taiwan and came to the United States for my graduate study in 1991. I enjoy reading, hiking, and reflection on faith, history, and science. See my biography. My research interests are in the interdisciplinary areas of Artificial Intelligence, Computer Science, and Operations Research. I received my B.S. and M.S. 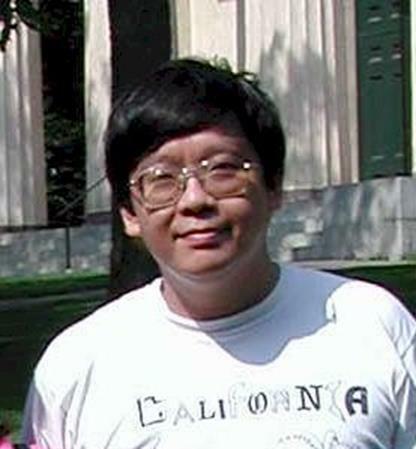 in computer science from National Taiwan University, my Ph.D. in computer science from Brown University in 1997. See my publication and research. After my doctoral program at Brown, I studied at Logos Evangelical Seminary and received my M. Div. in 2000. I am a member of the Salvation Army, and serve in the San Gabriel Center of Worship and Service as a Sunday school teacher and a regular preacher. My wife, Sierra, used to be a staff at Logos Evangelical Seminary. We began to know each other while I was studying in the Logos Seminary. She was a librarian there at that time. Sierra and I got married in June 2000. My daughters Lily and Leslie were born in 2001 and 2002 respectively. We now live in the San Gabriel valley area. See our family album. My inner search for the light of life started early in my childhood, and I reached a major milestone in the journey when I was studying at Brown university at Providence, Rhode Island. Being trapped in spiritual darkness for a long time, I gradually realized there was no way out by myself to escape from the inner darkness and I had found no peace within. The promise in John 1:12 became my personal experience when I began to know Jesus Christ through the guidance of the Holy Spirit. The place I lived at that time was just several hundred feet away from the landing place of Rogers William, the founding father of Rhode Island. Rogers William gratefully named the city as Providence, and like him I feel grateful to God’s providence at the turning points of my journey.